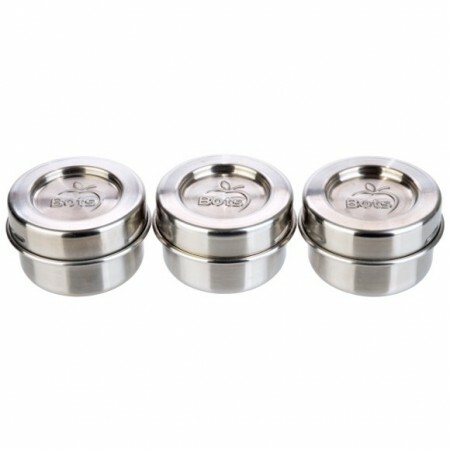 Set of three handy leak-proof stainless steel containers for sauces, dips and small snacks made by Lunchbots. 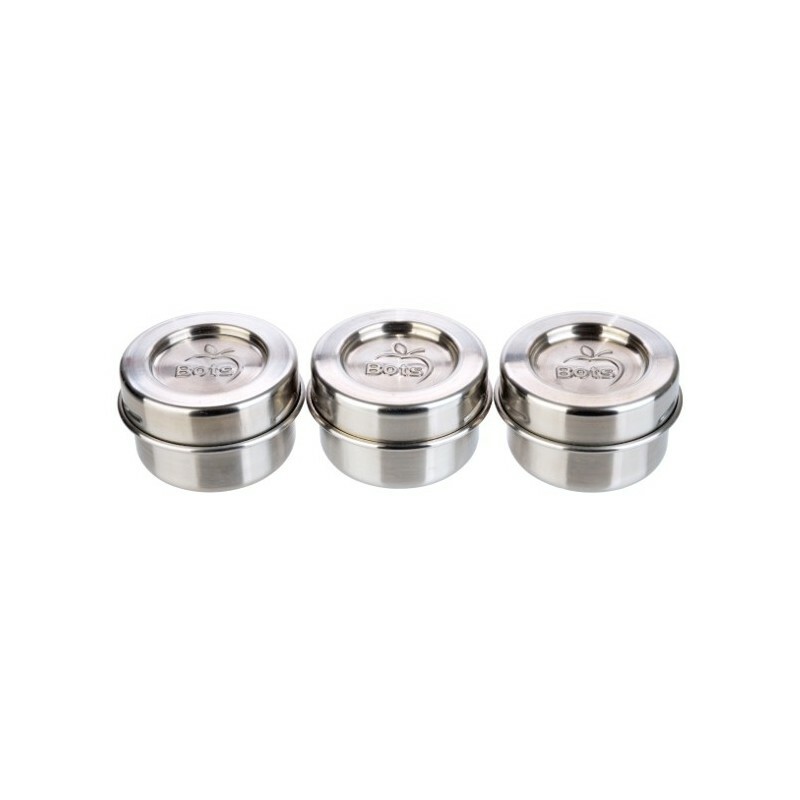 Manufactured from high quality, food grade, 18/8 stainless steel. 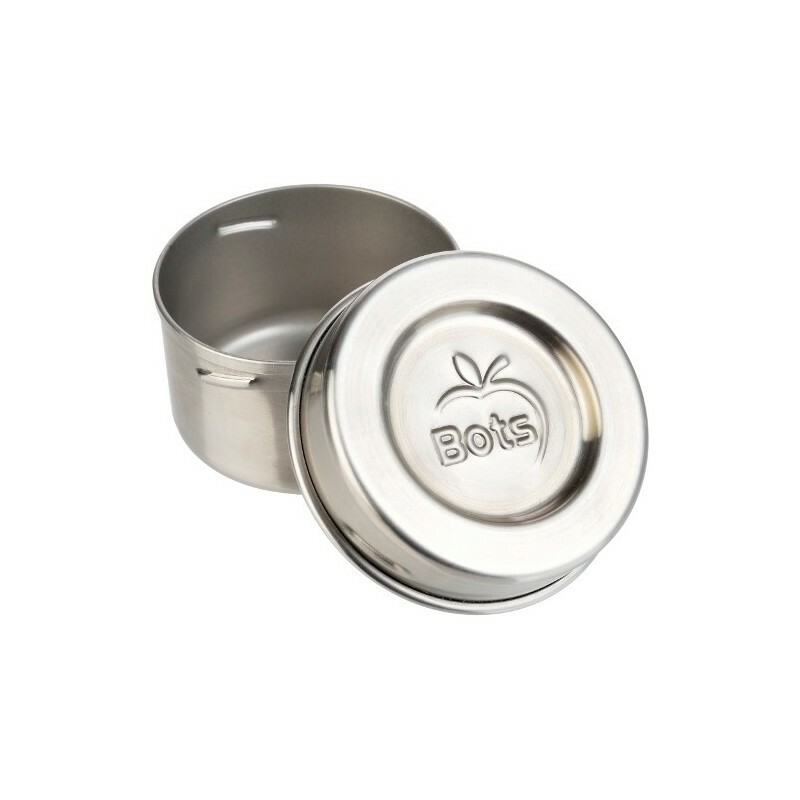 Reusable and recyclable, encourages you to reduce plastic wrap and throwaway containers. 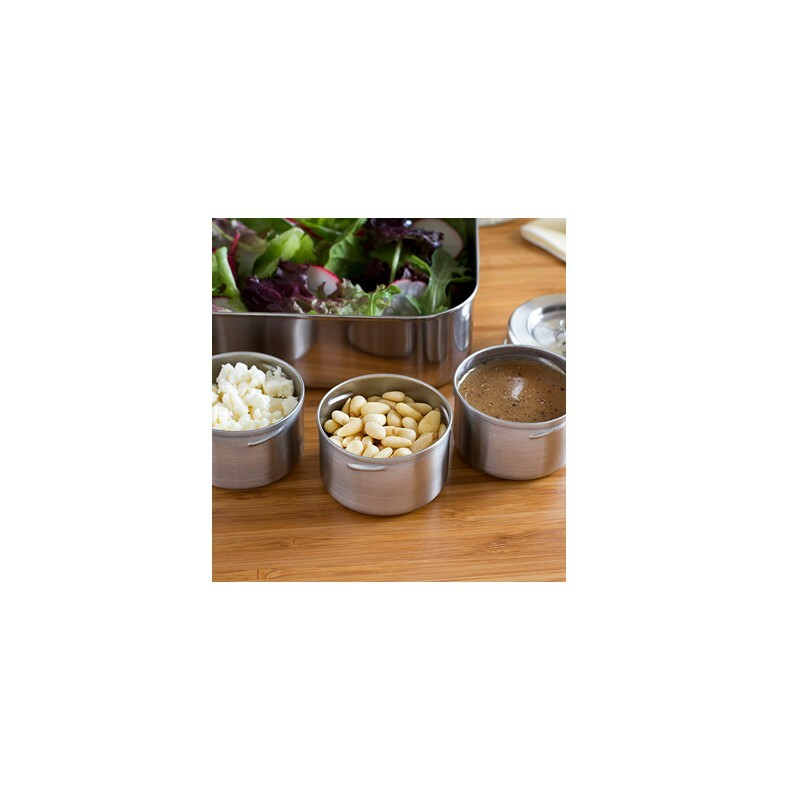 Team up with our other lunch boxes to make a complete lunch and snack pack. 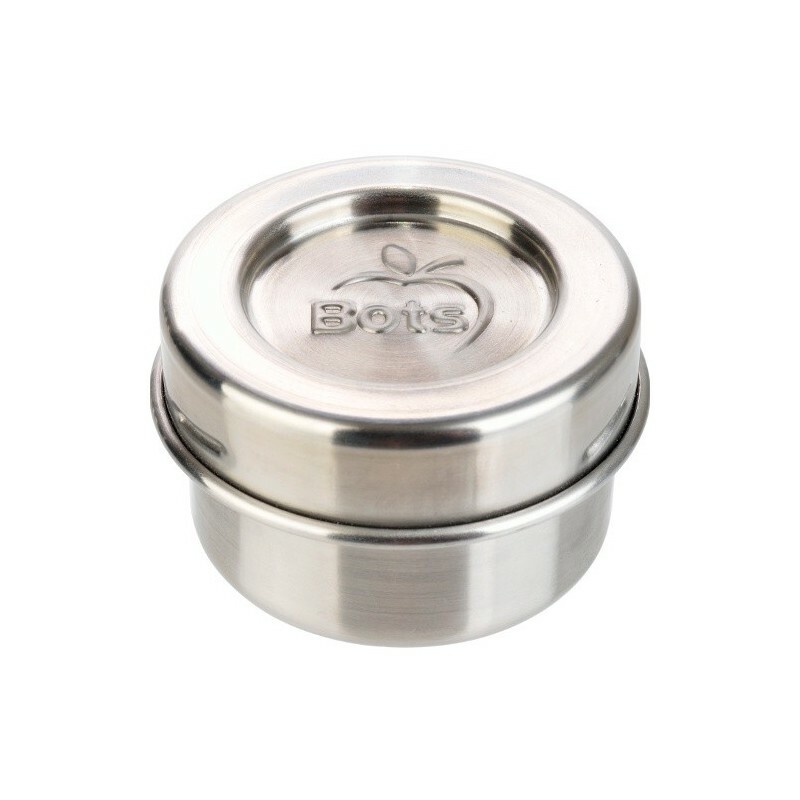 5cm W x 3.5cm D, 45ml capacity. All measurements are approximate. I'm really loving these small containers. Great for everything from dips, sauces and salad dressings, to tablets, protein powders! I must say I was a bit surprised at how small they were when I first received them, but I absolutely love these containers. As others have said they are perfect for dips and sauces, berries and even mini muffins fit nicely. Very handy for the lunchbox!